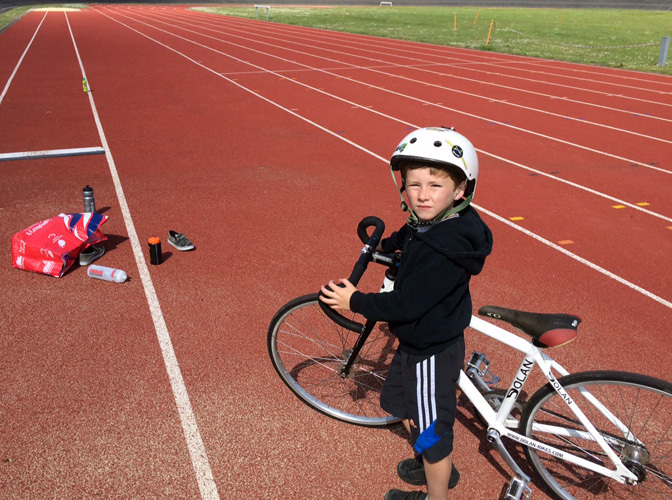 The more that my lad has got out on his BMX bike for some longer rides, the more he wants to get on and try a racing bike. 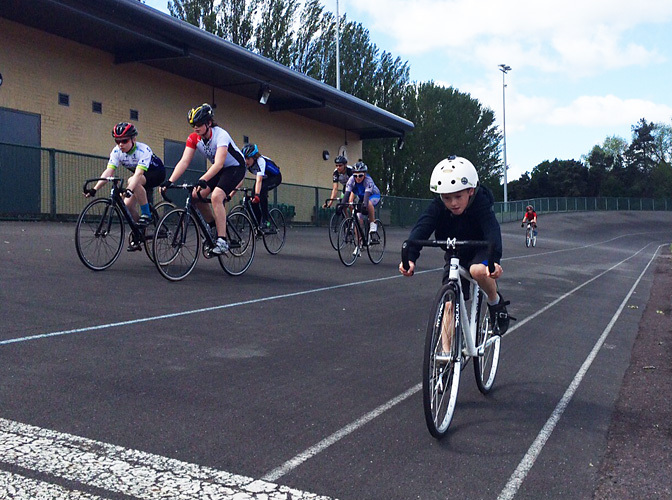 After speaking with Stephen Cannings who runs the track sessions down at Quibell Park Velodrome for the Lincsquad Youth Academy, we decided to go down and let him have a go! Steve arrived and we looked to see if we could find a bike small enough to fit him, in the end with a bit of minor modification of the seatpost we were good to go. Tried the bike on the flat first to get used to the fixed wheel and toe clips. Steve started him off by doing laps on the athletic circuit so he could get used to the fixed wheel and having his feet strapped in, and then it was on to the big track proper! 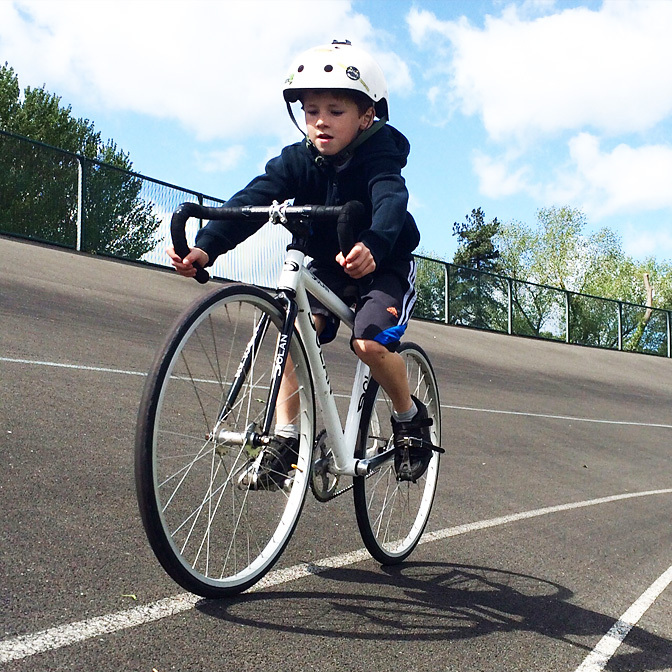 He took to it like a duck to water and he did plenty of laps enjoying the speed of the track bike compared to his small BMX.